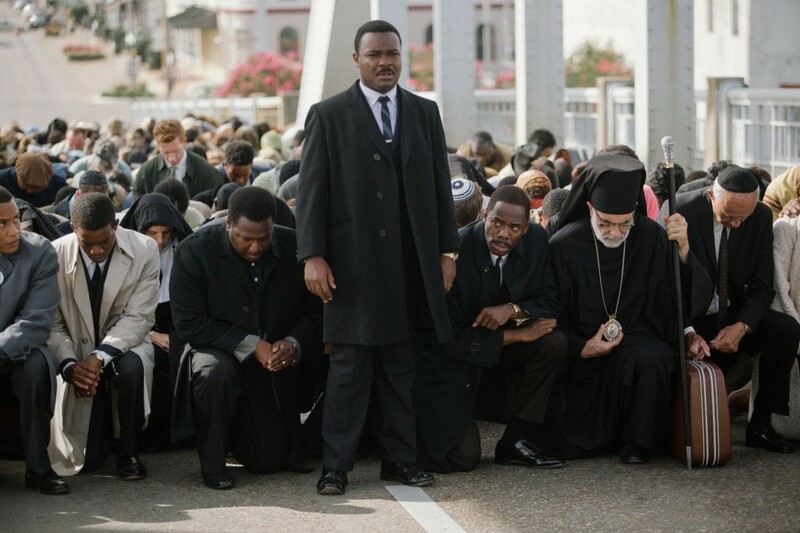 In the opening minutes of Selma, Martin Luther King (David Oyelowo) is struggling with a big question: what message will he be sending if he wears an ascot to accept his Nobel Prize? It is a relatively small problem that means the world to Dr. King in the kind of film where we learn so much about a man we all thought we knew so well. Most historical films would end when somebody receives such a big honor. However, Selma is partially a film about cementing your legacy, whether you are civil rights leader or the governor of Alabama, and Selma is smart enough to know that picking one defining moment of King’s life is no easy task. Not naming the film MLK or Martin or King’s Speech was probably a good idea, given that its focus is much broader than the scope of King’s life. Selma mainly focuses on the buildup and fallout of the Selma Marches that took place in 1965 over the issue of voting rights. Much of the film involves MLK sorting through political muck in order to achieve his goals. Amazingly, this film makes “politics as usual” interesting, exciting, and infuriating. Selma is directed by Ava DuVernay, who began her career as a publicist and then went on to be a documentary filmmaker. Her skills as a documentarian are in full force here, and at times this feels less like a script and more like reality. Very early on, a horrific event occurs. There is no sense of dread leading up to it in the form of music or foreshadowing. It is a normal day and then tragedy occurs. Something that a lot of films can get wrong is that nobody expects tragedy to happen. We live before it happens, and then if we survive, we just continue on. DuVernay collaborates perfectly with Oyelowo to help the actor craft one hell of a performance. It goes beyond the fact that he has a both a good and a bad side (King’s extramarital affairs are alluded to). This was a man who had to ask for feedback on all of his speeches while at the same time, was stubborn to a fault when it came to his personal beliefs. Oyelowo has to capture every side and then when he has to actually give a speech, he is just as dynamic as King himself. I don’t want to say that Selma is a political statement but in ways, it is. And it doesn’t throw it in your face the same way that other political films might. There are certain events in this film that will subconsciously remind you of things you have recently seen in the news. Think of it like One Flew Over the Cuckoo’s Nest. Cuckoo’s Nest is set in the early 1960s, but said a lot about the modern counterculture when it came out in 1975. Selma is a story from the past that happens to have a lot of foresight into the present day (and not in the Newsroom sort of way). The great thing about Selma is that it never feels like a textbook entry: it is as vivid, alive, and tangible as the present. Tim Roth’s southern accent borders on an Aldo Raine impression. There has been a lot of talk about how accurate Selma is, especially by those who used to work with LBJ. Additionally, the film doesn’t highlight the Jews who marched with MLK. I am not sure how much of the LBJ stuff is true or false, but is important to remember that it is actually okay when a biopic strays from the truth. As long as you don’t completely alter history, it is okay. Sometimes, fact needs to be sacrificed in order to tell a better story. LBJ takes a long time to completely jump on MLK’s cause, and that’s what makes it a better story. Nitpicking ruins good movies. Plus, you can spot a few yamakas in the crowd. A lot of great films unfortunately suffer from White Savior Complex. Remember when Brad Pitt came to save the day in 12 Years A Slave. You can argue amongst yourselves whether Selma has that problem. I think it doesn’t. After all, this is the story of a man who united people both black and white for a cause. This entry was posted in Uncategorized and tagged Ava DuVernay, David Oyelowo, Martin Luther King, MLK, Movie Review, Oprah, Selma on January 15, 2015 by ian0592.